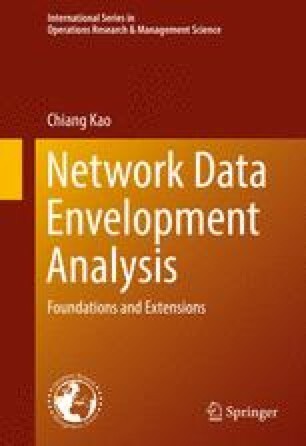 Network systems have different structures, and most of them can be described by general mathematical models, with the system efficiency being able to be decomposed into the division efficiencies, as discussed in the preceding chapters. In this chapter we will discuss two types of system with symmetrical structures, assembly and disassembly, which are common in manufacturing industries. Similar to hierarchical system, the assembly and disassembly systems do not have fixed forms of structure, and there are only guidelines for classifying a structure as either an assembly or disassembly system. Based on the structure of these two types of system, a relationship between the system and division efficiencies can be obtained directly.